Flawless skin and luscious hair are synonymous with beauty across the world. To have the perfect everything, and eternal maintenance of the same, is an idea which an increasing number of people find compelling. Hair care, being such an integral part of beauty, is given extreme importance and is a billion dollar industry today. 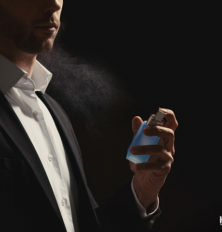 Many researches and experiments have brought forth a few complex vitamins and minerals that, though present in our body, need a push to fight signs of hair loss and recession. Biotin is one such highly researched vitamin that the scientists are still in debate about. The efficacy and the general importance of this vitamin that is already synthesized by the gastrointestinal bacteria are questioned from time to time and a consensus is yet to be reached around it. Also known as vitamin B7, its main function is to extract nutrients and energy in the carbohydrates, fats and proteins ingested. 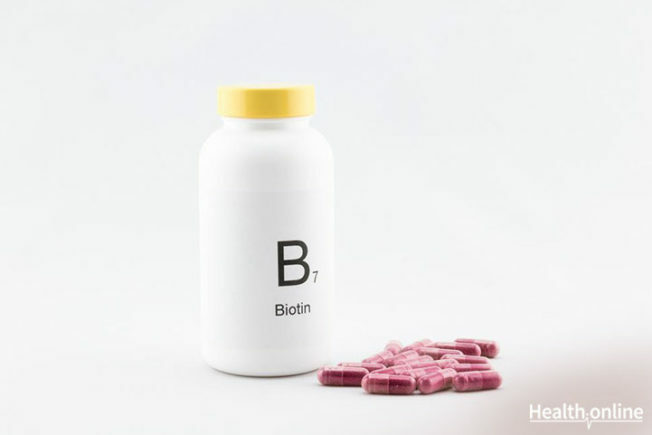 Biotin is also less commonly referred to as Vitamin H. Although there are no concrete studies regarding the efficiency of biotin for hair growth, research has shown that biotin deficiency does cause diseases like alopecia and hair loss. How much biotin do we need? A meager amount of 30 to 75 micrograms of biotin per day is the required dosage for your body. This amount is generated in the gut itself. Supplementation of this vitamin is prescribed only in infants born with biotin deficiency, pregnant and breastfeeding mothers. For infants the dosage is 10-30 mcg/day and this increases to 30-100 mcg per day beyond the age of 10 years. Generally, any anomaly in the functioning of the gastrointestinal tract leads to the inability of the bacteria there to generate biotin. Apart from that, lack of biotin in pregnant mother to child, GI conditions that prevent biotin absorption in the body, anti conversant medications and chronic malnutrition are also equally important causes. Rarely, smoking, alcohol and intravenous drugs also bring about similar symptoms. All hair and nail fibers are made up of a primary component called Keratin. It is the basic building block for hair and nails and administers their growth and strength. 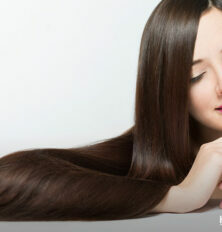 Biotin is said to help in the development of the infrastructure of keratin. Increasing the intake of biotin therefore indicates a better condition of keratin and hence betters hair. This theory however is quite debatable and still not conclusive. Based on the aforementioned theory, it is safe to say that the more biotin in the body, the healthier the hair would be. A healthy supplementation of biotin has been observed to instill hair growth in bald patches and improve the quality of hair in some researches. Tablets and capsules are available over the counter which are FDA regulates and safe to use. Excess of anything is bad and an overdose of biotin can be dangerous as well. The ingenuity of the body is that since biotin is water soluble, the excess of it gets flushed out in urine. Still, an overdose is a risk factor and can be avoided with appropriate guidance from your health practitioner. Keep a watch for any new symptoms while taking biotin supplementation and immediately stop in case of an overdose. Keep yourself updated with the latest on Beauty. Like us on Facebook and follow us on Twitter for more on Health , Diet & Nutrition and Fitness. Also, check out our Health Tools and try out our health-related Quizzes. with the skincare tips in this FREE e-book!